Raven Electrick Ink was a publisher of fiction and poetry anthologies in the science fiction, fantasy, and horror genres. Ink's predecessor, Raven Electrick e-zine, published speculative literature online from 2000 to 2009, with the free archive still available here. For more information on these projects, see the entries below. 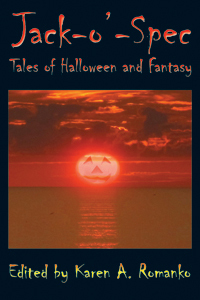 Jack-o'-Spec: Tales of Halloween and Fantasy, the latest trade paperback anthology from Raven Electrick Ink, is available for purchase at Amazon.com and BarnesandNoble.com. Jack-o'-Spec features the many faces of science fiction, fantasy, and horror Halloweens: steampunk Halloweens, post-apocalyptic Halloweens, alternate history Halloweens, outer space Halloweens, and noir Halloweens, not to mention new speculative takes on Halloween perennials, such as haunted houses, witches, ghosts, vampires, and, of course, jack-o'-lanterns. Twenty-six authors have contributed short stories, flash fiction, and poetry to the anthology, transporting us to the mysterious realm of the Pumpkin King, introducing the trick-or-treating Norse gods, or describing a lover's visit on a brief reprieve from Purgatory. "Reading Jack-o'-Spec is like stepping into a Halloween party that's been going on for 2,000 years. There's something delightfully pagan about these stories and poems, something that captures Halloween's dark, autumn atmosphere. Whether it's a mad scientist invoking Halloween ghosts on Mars, boys trapped in not one but two haunted houses, or a rich evocation of poetic seasonal spirits, Jack-o'-Spec has something for all Halloween lovers." View the complete table of contents for Jack-o'-Spec. Retro Spec: Tales of Fantasy and Nostalgia, the third trade paperback anthology from Raven Electrick Ink, is available for purchase at Amazon.com and BarnesandNoble.com. Retro Spec uses the prisms of science fiction, fantasy, and horror to examine the culture, society, and politics of our recent past, the 1920s to the 1980s, in the United States and Europe. Twenty-six authors have contributed short stories and poetry to the anthology, twining history with speculation to find out what happens when suffragettes construct robots, insects spread cultural movements, women carry out the first "manned" space flights, or hair metal bands make deals with the devil. Along the way, Retro Spec hits many of the notches on the 20th century timeline, including World War II, the 60s counterculture, Chernobyl, and the fall of the Berlin wall, testing their limits with genre elements such as alien invasion, ghosts, alternate history, and time travel. Contributors include Robert Borski, Bruce Boston, G. O. Clark, Don D'Ammassa, Dayle A. Dermatis, Jude-Marie Green, David D. Levine, Cat Rambo, Ann K. Schwader, Marge Simon, and 16 others. View the complete table of contents for Retro Spec. Cinema Spec: Tales of Hollywood and Fantasy views moving pictures in all their forms, real and imaginary, from shadow plays to classic films, from videocassettes to animated tattoos. 32 authors have contributed flash fiction, short stories, and poetry to the anthology, transporting readers back to a time when flames flickered and paintings waltzed on cave walls, and forward to possible futures when the heavens themselves might serve as vidscreens. Along the way, the anthology makes multiple stops in Hollywood, the one we know and the one that could never exist, from 30s noir to extraterrestrial infiltration, from a magical "gangland" to destruction after "the big one." Contributors include Greg Beatty, Ruth Berman, Robert Borski, Justin Howe, Vylar Kaftan, Deborah P Kolodji, Simon Logan, Lisa Morton, Gregory L. Norris, Tony Pi, and many others. View the complete table of contents for Cinema Spec. Sporty Spec: Games of the Fantastic views sports and games with a speculative twist, in prophesied futures, parallel presents, and imagined pasts. From tennis matches with Death to chess games with Oberon, from free throws with the Fairy Court to surfing with werewolves, every sport imaginable (and a few unimaginable) exist within this speculative city of games. 42 authors, veterans and rookies alike, have contributed flash fiction and poetry that will take you from pong with a dust mote at the beginning of the world to sailboarding through the stars at the universe's edge. 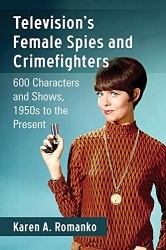 Contributors include: Paul Abbamondi, Marge Simon, Robert Frazier, E. C. Myers, C. A. Gardner, James S. Dorr, Todd Wheeler, Deborah P Kolodji, Jude-Marie Green, Samantha Henderson, Roger Dutcher, Ruth Berman, Lawrence Schimel, Larry Hodges, Alex Dally MacFarlane, Rob Rosen, Andrew C. Ferguson, and 25 more. Sports & games covered: baseball, football, soccer, horseracing, figure skating, golf, cricket, Monopoly, bridge, and others. View more information, such as the complete table of contents, professional reviews, etc. for Sporty Spec. Raven Electrick e-zine published fiction and poetry in the fantasy, science fiction, horror and mystery genres from March 2000 to May 2009. Raven Electrick had eclectic tastes, with subgenres ranging from "cyberpunk" to "cozy" sleuth, sword and sorcery to hardboiled "noir," space opera to vampire yarn, and anything in between. Over 100 authors contributed to the e-zine, including Michael Arnzen, Greg Beatty, Bruce Boston, Samantha Henderson, Charlee Jacob, Vylar Kaftan, Deborah P. Kolodji, Mark Rich, John Schoffstall, and Marge Simon. In a review of Raven Electrick, SFReader.com said,"The Editorial Alchemists here mingle Ancient and modern tales, twining the Primal to the technological, the ordinary to the Mysterious, in a way that can only be described as indelibly unique.... An outstanding site." Raven Electrick Ink has retained the free fiction and poetry from Raven Electrick e-zine in its original format. Please visit the fiction and poetry archives.